Tongs 2.0 is a unique kitchen tool that will grip like a set of tongs while letting you flip like a spatula. It's perfect for cooking breakfast when you have some things that you need to grip like sausages and bacon, while having other things that need flipping, like pancakes, or eggs. With the Tongs 2.0 you can grab, scoop, and serve foods like scrambled eggs, pulled pork, pot roasts, fish fillets, fruits, cookies, salads, hamburgers, grilled cheese, steaks, and more! The Tongs 2.0 give you a commercial quality tool with practically no mess! The Tongs 2.0 has the ability and strength to lift heavy items like pot roasts while being simultaneously delicate with other foods like salmon, hard-boiled eggs, and potato cakes. There's really nothing that the Tongs 2.0 can't pick up and serve, including other items like ground beef, chicken nuggets, egg rolls, stir fry, rice, and a whole bundle of asparagus. 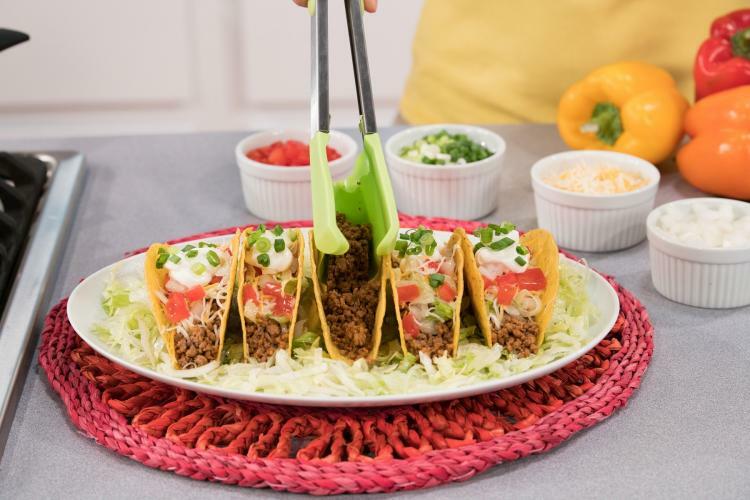 It's perfect for serving taco ingredients directly into the shell or putting a Philly cheese steak from the pan right onto the bun. The Tongs 2.0 comes with one large set of Tongs 2.0 along with one smaller set of Tongs 2.0 for handling those extra small items. 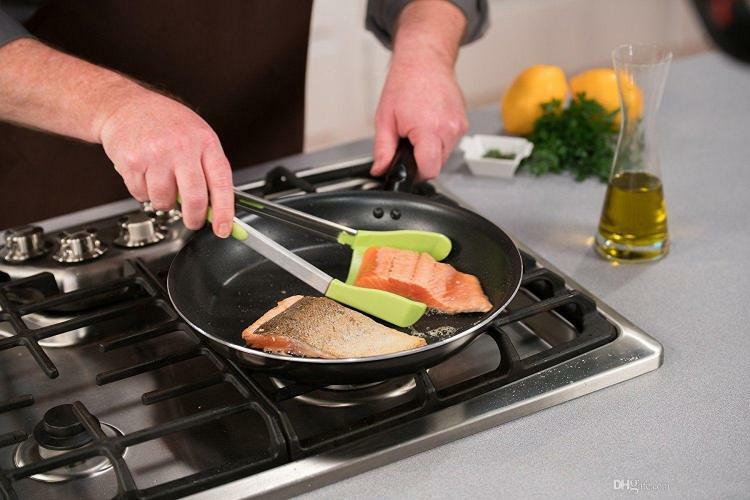 The unique cooking tool is made from a stainless steel handle along with a silicone cradle in the middle. 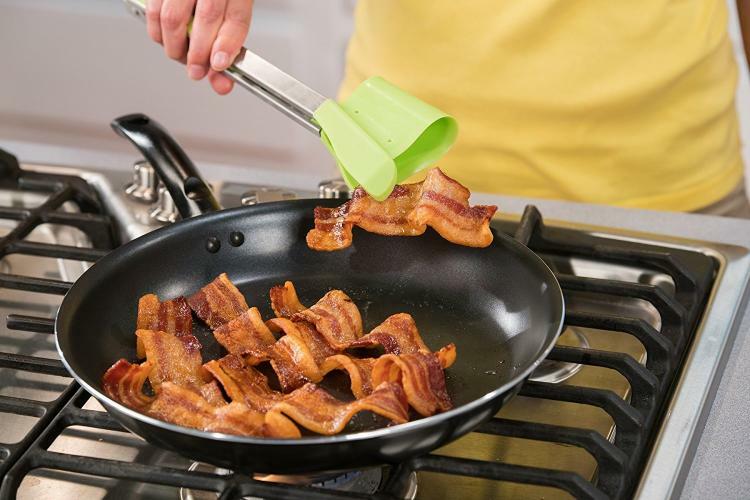 The Tongs 2.0 are non-stick, heat-resistant, are dishwasher safe for easy cleanup, and is the best and most versatile kitchen tool you'll probably ever use!